Happy news! 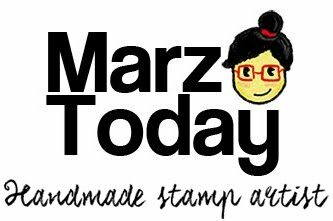 Common Room is expanding with a new branch at Alabang Town Center and I am bringing my stamps closer to you. Being part of Common Room is a personal milestone for me because I've been a fan of the community. Bajeebus! The partners are juggling a day job, came all the way from the farthest parts of the North, or have bravely turned their creative passions into full time careers. No wonder these guys are inspiring young folks to pick up their creative tools. At last night's ingress the air of excitement is just amazing (ubos space sa mga partners pa lang.) And by sense of community I think Common Room has established its own small community of stamp makers (which you shall see soon.) There's actually a few bits of the shop I'd like to talk about but I'll save that until after the opening. A happy occasion like this calls for a party and its not a party without food. With that, I also want you to be #winning with these limited edition hand printed stickers. 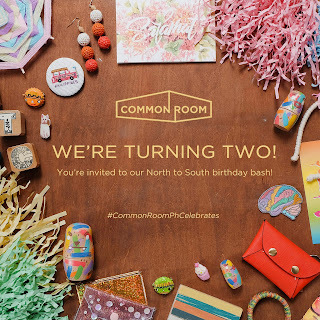 Snag these yum yums by reposting either of these two posts on instagram and tag @commonroomph By reposting you may also receive an e-invite to the store's opening. 🚨 GIVEAWAY ALERT 🚨 Dahil sa daming good vibes kagabi sasamahan ko din ng panulak yung pakain ko. Pasensya at beer lang ngayon, kayo na muna sa juice at chaser (chaser sa beer?!) Kita-kits sa pa-party ni @commonroomph sa ATC #CommonRoomPHXATC #CommonRoomPHCelebrates 🍻 Take home one of two limited edition sticker sets by Marz Today. Repost this photo, tag @commonroomph and get a chance to win an e-invite with freebies for Common Room Alabang Town Center opening day! For some sneaky-deeky pre-shop opening rituals stay tuned to my instagram stories that go up in the evening. Because I am ninja. I am also giving away other goodies at the store's opening Perks you can enjoy for being an early bird shopper. Board up cover that goes on and on means work load that goes on and on 😥 WE CAN DO THIS! 💪 Last day to submit your application for #CommonRoomPHXATC brand partner! Link to sign-up on our profile! See you at Common Room Alabang Town Center!